Le premier album du brésilien Guilherme Simonsen est un disque syncrétique et innovant, un collage stylé à l'image de la pochette ; ça lorgne du côté du jazz, de la lounge, du trip hop... avec tout du long un dub pêchu (un peu systématique à mon goût, mais qui donne son unité à l'album). L'assortiment de samples et d'instruments acoustiques crée une ambiance de musiques de film ("Memory"). D'étonnantes cordes classiques donnent une tonalité raffinée à "Before Mister Chang died" et à "Wushu". Des guitares slide ou électriques, des chants ethniques, des inserts, bruitages, voix saccadées, et le chant de Barbara Starling, trafiqué mais envoûtant ("Another room", "What a mess we made"). 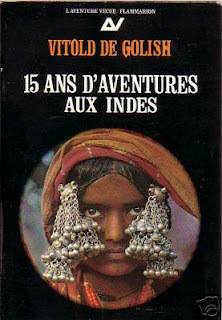 est une des premières bonnes surprises de ce début d'été 2007. 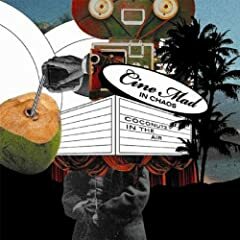 Cine Mad in Chaos with the new album Coconutz in the Air proposes an Electronic fusion of analogical timbres with Break Beat/Trip Hop/Dub and unusual atmospheres, creating a singular and innovative style.Electronic Trip Hop/Dub project of which Guilherme Simonsen is both the producer and creator. Audio producer since 1997, Guilherme started his experience producing Psy Trance. Soon, in 1999, he became one of the pioneering Brazilians in the live-act performance, playing his sound in Tranconso and Caraiva (Bahia), Alto Paraiso (Goias) parties in 1999/2000 and furthermore, in Sao Paulo. The real transformation happened back in 2001, when Simonsen, trying to evolve his knowledge on electronic music, has moved to Australia, where he built up an independent studio. There the will for the total freedom of creation sprouted which brought the experimental music. He came back to Brazil in 2002, when he felt the need to create a more consistent project: emerges then Cine Mad in Chaos. CMC is considered one of the main Down Beat projects in Brazil. Can mathematics and fractals explain the art of Jackson Pollock? Can it be used to authenticate paintings of uncertain provenance? Tate Modern in London has re-furbished its collection with the UBS Openings, and it gave me the opportunity to rediscover an artist who died 50 years ago: Jackson Pollock. In particular, Summertime Number 9A, 1948 left me thinking for a good 10 minutes, as I could not take my eyes away from its sheer beauty. On the side of the painting I also discovered the following analysis, made by physicist Richard Taylor. Jackson Pollock declared that he was ‘concerned with the rhythms of nature’. But if his swirls of paint represent nature, what sort of patterns would his paintings contain? During Pollock’s era scientists assumed that natural objects such as trees and clouds were devoid of any pattern. It wasn’t until the 70’s that they detected a subtle form of order within the natural world, called fractals. Fractals consist of patterns that recur at finer and finer magnifications. A small part of the structure looks very much like the whole. My own scientific analysis of Pollock’s drip paintings has shown that they also have this quality, as if he instinctively grasped the principles underlying the patterns of natural scenery. Pollock’s genius lay in his ability to paint such intricate fractal pattern so precisely and to do so 25 years ahead of their scientific discovery. In fact, it appears that this analysis is part of a debate around the fractal nature of Pollock’s works. University of Oregon physicist Richard Taylor and collaborators claim that Jackson Pollock’s famous drip paintings, are fractals. In articles that appeared in scientific journals and news magazines including Nature, Physics World and Scientific American, Taylor and coworkers also claim that fractal analysis can be used to distinguish Pollock's drip paintings from imitations. In 2006 Taylor was invited by the Pollock-Krasner Foundation to determine the authenticity of paintings found by Alex Matter, son of the late photographer Herbert Matter. According to Matter, a close personal friend of Pollock’s, the paintings are the work of Pollock, but Taylor used fractal analysis to pronounce them inauthentic. Case Western Reserve University physicists address these questions in a recent issue of Nature. A key element of the paper is a painting called Untitled 5 that Jones-Smith, co-author of the article, created in a matter of minutes in Photoshop. Untitled 5 depicts a field of stars and looks like the kind of drawing the proud mother of a three-year old might stick on a refrigerator door, says Jones-Smith. But, according to the fractal authentication criteria that Taylor has made public, it is an authentic Pollock. Jones-Smith adds, "I found I can make paintings at will in Photoshop that meet all the criteria he has made public." A defining feature of fractals is their self-similarity: they look the same if magnified. Sometimes the self-similarity is visible to the eye, as in the famous Koch snowflake, which is composed of a hierarchy of ever smaller equilateral triangles. More often the self-similarity is statistical and can be detected only by computer analysis using a technique called box-counting. In their Nature article, Jones-Smith and Mathur show that Pollock's works lack the range of scales needed to be considered fractal in the sense of box-counting analysis. This is because typically the smallest marks of paint are only a thousand times smaller than the entire canvas. The researchers show that considering Pollock's paintings to be fractal actually leads to mathematical contradictions and inconsistencies. "Not only does Taylor state Pollock's paintings are fractal," said Jones-Smith, "but he goes further and says such things as this is why Pollock is such a master - that he had mastered the language of nature."